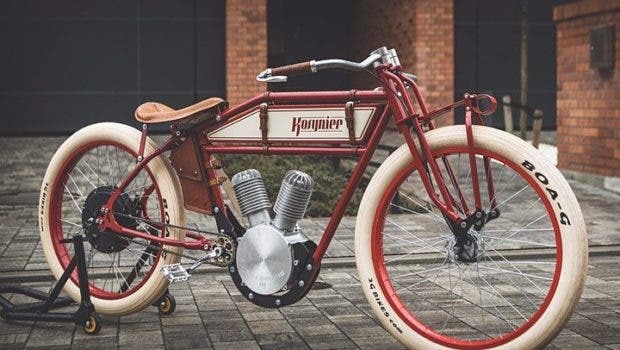 In the rapidly transforming two-wheeler segment of transportation, there are two trends which are colliding: nostalgia and electrification. Brands are explicitly creating and selling retro looks with futuristic underpinnings to capture the comparatively well-heeled millennial transportation marketplace. 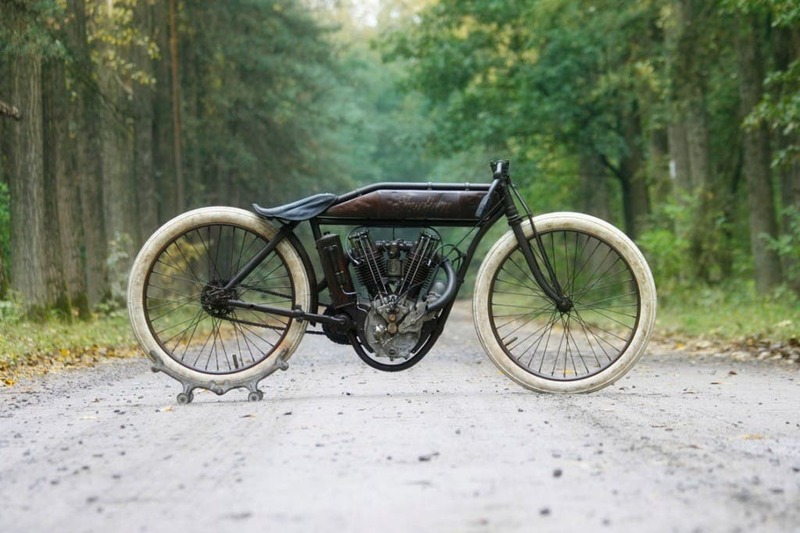 The Poland-based Kosynier Boardtrack electric bicycle is perhaps the most extreme case. Yes, that’s actually a functional bicycle that can be pedaled. But that’s hardly the point. 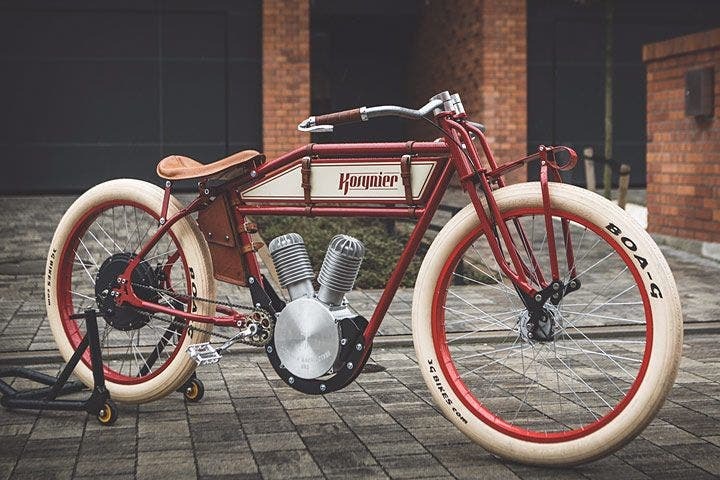 The pedals simply provide acceleration cues to the electronics hiding inside the intentionally antique replica of an early 20th Century racing motorcycle by manufacturers such as Harley-Davidson and Indian. Before we get into more examples, let’s look at some demographics. The fact that a lot of motorcyclists are aging out of riding is well-understood and tracked. While Harley-Davidson disputes the worst independent assessment that the average age of its riders is 51, the company can’t begin to dispute its challenge in appealing to Generation Z and Millennials. And there’s something else going on with those younger generations. They are increasingly urban. As we’ve observed, usage models for motorized two-wheel vehicles are shifting in part in response to the change in demographics. Highway speeds are no longer required for a very large percentage of users a very large percentage of the time. Other characteristics become important for urban users than pure performance, visual design being one of them. The hipster subculture is stereotypically composed of young adults who reside primarily in gentrified neighborhoods. […] Hipsters also frequently flaunt a varied non-mainstream fashion sensibility, vintage and thrift store-bought clothing, generally pacifist, progressive and green political views, veganism, organic and artisanal foods, craft alcoholic beverages, and alternative lifestyles. This alignment of young, reasonably well-off urbanites with retro tastes and a preference for non-polluting transportation has been spotted by many vendors. Kumpan, a German manufacturer, makes no bones about what it is selling. Its scooters are intentionally dated, even by name with the 1954 Ri S, 1954 Ri, 1953, and 1950 models. But once again, the internals are future spec, with its top-of-the-line offering 100 kph top speeds, a 120 km range, ABS, keyfob touchless unlocking, LCD touch-screen display, and LED front and rear lights. 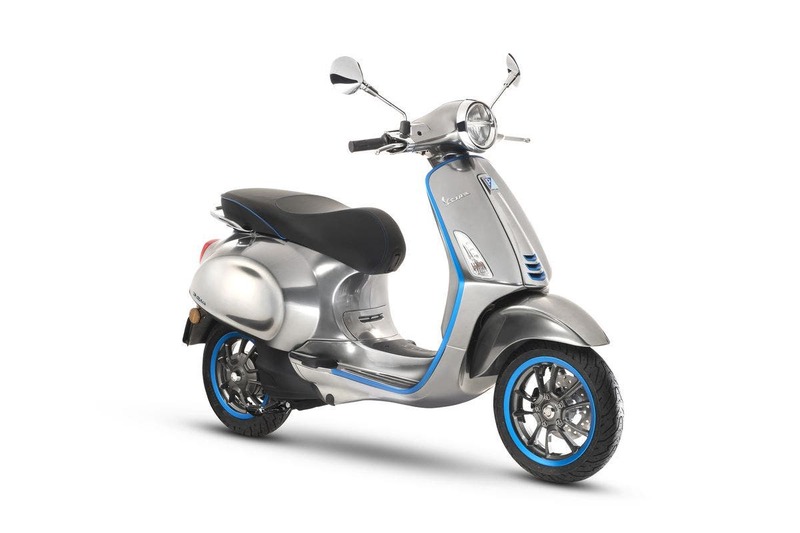 Vespa, the classic Italian motor scooter, has just entered the electric vehicle market as well. Once again, regardless of what’s inside, the outside is classic retro. The headlight treatment is identical to something from decades ago, yet undoubtedly houses LEDs as well. And yet again, its marketing collateral hits the same points: “A work of art with a highly technological heart.” It’s easy to imagine Jude Law in The Talented Mr. Ripley riding around the Mediterranean towns picking up beautiful women on this, or for that matter Audrey Hepburn and Gregory Peck zipping around Rome in another Roman Holiday on one of these scooters. Last in our brief tour of the very wide and deep range of retro electric two-wheelers, we return to Germany to look at the Ruffian. Underneath the old motorcycle vibe lies a state-of-the-art Bosch motor, powdercoated aluminum frame, and disk brakes, not to mention add-on features such as carbon-fiber drive belts and leather saddlebags. 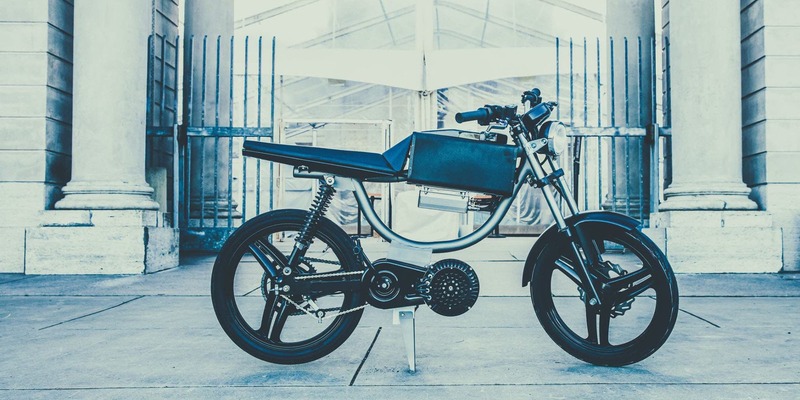 Electric two-wheelers occupy an interesting space in 2018. Insufficient to replace motorcycles for long-distance touring, with all due respect for riders like Ben Rich and his cross-country trips, but with a rising urban demographic, they increasingly wrap the future in the skin of the past. Savvy marketers are making serious money off of this space, and it’s not the only product set to feature this sort of intersection.